PILDAT, as the initiating and management organisation for the Youth Provincial Assembly Punjab is responsible for the overall management and facilitation of the Youth Provincial Assembly Punjab project towards its successful completion. Throughout the process explained earlier in the Handbook, PILDAT acts as a coordinating agent for the smooth and successful functioning and completion of the Youth Provincial Assembly- Punjab project. At least one representative of PILDAT will be a Member of the Youth Provincial Assembly Punjab Steering Committee. In addition, initial screening and short-listing of candidates based on the evaluation of EOI forms will also be the responsibility of PILDAT. PILDAT will also be paying travel allowance and reimbursement to MYPAPs travelling from outside Lahore upon collecting the receipts of travel. 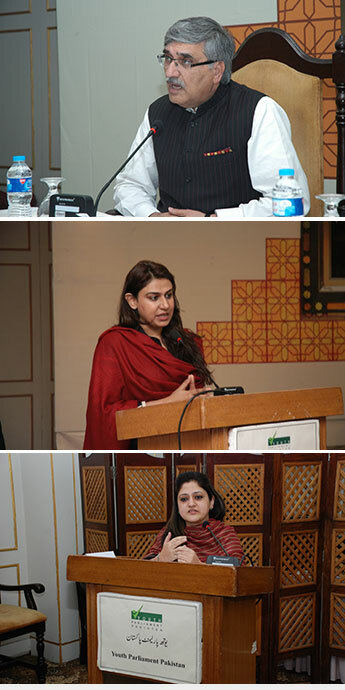 PILDAT’s role in the Youth Provincial Assembly Punjab is mainly that of a facilitator. However, it does not provide a guarantee against any losses suffered by the MYPAPs during the course of the Youth Provincial Assembly Punjab project.